There’s no question that the recent economic downturn has hurt home prices in Edmonton. In 2016, the average value of homes in the city dropped 2.1%, the largest such decrease in any major city in Canada. While that sounds bad on the surface, it certainly makes Edmonton an even more affordable location to buy a home. The median price for a home in Edmonton was just over $378,000 in January and a little above $381,000 in April of this year. That means, among other things, that home prices are going to be relatively stable and inexpensive for the foreseeable future throughout the city. But, it won’t be like that forever. Some prognosticators are predicting a land value boom in Edmonton over the course of the next decade. So, what does that mean for you? If predictions hold up, now is the best time to buy if you’re looking for a home in Edmonton. As the economy improves, so too do home values. You don’t want to miss out on scoring a great deal in a down market. Where are the best neighbourhoods for home buyers in Edmonton? Check out our 5 picks below. Edmonton’s Grovenor neighbourhood dates back to the early 20th century when houses were constructed along the MacKinnon Ravine. About 18% of all houses built in this neighbourhood were completed prior to World War II. In fact, most new construction in Grovenor had all but been halted by the 1980s. That being said, older and less structurally sound homes have been replaced by more convenient and contemporary ones by some homeowners and developers. Today, Grovenor’s boundaries extend roughly to 142 St. in the east, 149 St. in the west, 107 Ave. in the north, and the Mackinnon Ravine Park in the south. The average price for all types of detached homes in Grovenor is just over $400,000. But you can easily find homes in the neighbourhood for $60,000 less than median. In fact, the average price for 3-bedroom home between August 5 and September 30, 2017 was only around $330,000. Over the course of the last year, the average price of row houses has also remained a little above $400,000. But, there are still steals to be found with some row houses going as low as $300,000. One of Grovenor’s primary benefits is that it provides all the quiet of a residential neighbourhood without the long distance from downtown. Other neighbourhoods farther on Edmonton’s periphery may be serene, but you have to travel a decent distance to get to the city centre. Stony Plain Road passes directly through the southern portion of Grovenor, granting you easy access to both downtown and west Edmonton. MacKinnon Ravine Park is also within the boundaries of Grovenor, which is ideal for walkers, runners, cyclists, and nature enthusiasts. 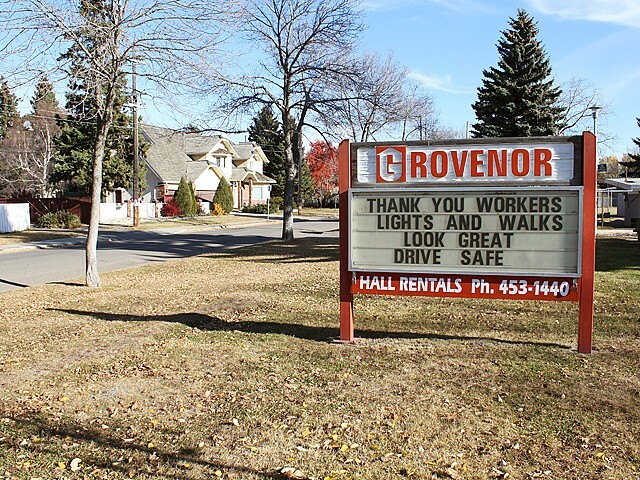 Additionally, Grovenor contains the Grovenor School, some nice restaurants on Stony Plain Road, and a church. You’ll also be sure to enjoy the Grovenor Community League’s outdoor rinks, skate park, playground, community garden, and other activities. Unlike Grovenor above, only about 5% of Sherbrooke’s homes were constructed prior to World War II. Most construction in the neighbourhood occurred between 1946 and 1960 with around two-thirds of the houses being built during that period. 15% of housing units were built in the 1960s with the remaining 13% being built any time after that. Many of the houses in the neighbourhood tend to be smaller bungalows on big lots that usually accommodate a double detached garage. 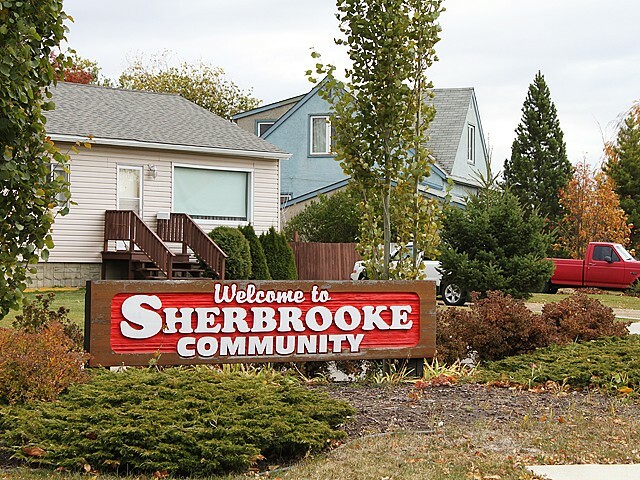 In recent years, Sherbrooke has become a popular destination for younger Edmontonians looking to break into the housing market. In fact, a study in 2005 showed that a majority of residents had lived in their home for less than 5 years. Sherbrooke’s boundaries are 127 St. in the east, St. Albert Trail in the west, Yellowhead Trail to the north, and 118 Ave. to the south. Sherbrooke has one of the cheapest average home prices among all Edmonton neighbourhoods at around $335,000. In fact, it’s not uncommon to find a 3-bedroom home for less than $300,000 if you’re lucky. While around 75% of the neighbourhood is composed of single-family dwellings, there are a few row houses available as well. The data on row house prices is a little incomplete, but don’t be surprised if you find one for around $200,000 in the neighbourhood. Obviously, the reason young home buyers are flocking to Sherbrooke is because of the inexpensive home prices. Sure, it may take you a bit longer to get to work every day, but you’ll be saving far more in the long run than if you had opted for a shorter commute. You can also build back alley apartments to help with monthly mortgage payments. The neighbourhood is also bounded by two major thoroughfares in St. Albert Trail (which turns into Groat Road farther south) and Yellowhead Trail (which doubles as Alberta Highway 16 once you’re out of the city). On top of that, 118 Avenue (another boundary street) turns into Kingsway Avenue just a few blocks to the west. Within the boundaries of Sherbrooke, you’ll find the K-9 Aurora Charter School and the K-6 St. Pius X Catholic School. There are also a few restaurants and a pub in the neighbourhood’s southwest corner. Now we’ll take a look at Sherbrooke’s neighbour to the west, Dovercourt. Much like Sherbrooke, a majority (80%) of Dovercourt’s houses were constructed between 1946 and 1960. Home construction in the neighbourhood was largely completed by 1970. Of course, that hasn’t stopped people from moving in to Dovercourt. Just like Sherbrooke, many younger residents are settling in Dovercourt while older ones are heading elsewhere. As of 2016, the neighbourhood had around 2,100 residents the majority of whom were between the ages of 20 and 40. Dovercourt shares three boundaries with Sherbrooke with the St. Albert Trail to the east, Yellowhead trail to the north, and 118 Avenue to the south. Its western border is coterminous with 142 St.
Again, you’re going to find a lot of similarities between Dovercourt and Sherbrooke in the average home price category. Dovercourt single-family dwellings have a median price of around $330,000. The neighbourhood is largely composed (around 85%) of single-family dwellings. In addition to the low average price of homes, Dovercourt also offers bigger homes, lots, and roads. In general, you’re going to feel far less congested here than you would in most places throughout the city. If you have the capital, you can also start from scratch and build the home of your dreams. You’ll definitely have the space. Again, this neighbourhood features a few of the same main roads as Sherbrooke (with St. Albert Trail, Yellowhead Trail, and 118 Avenue/Kingsway). 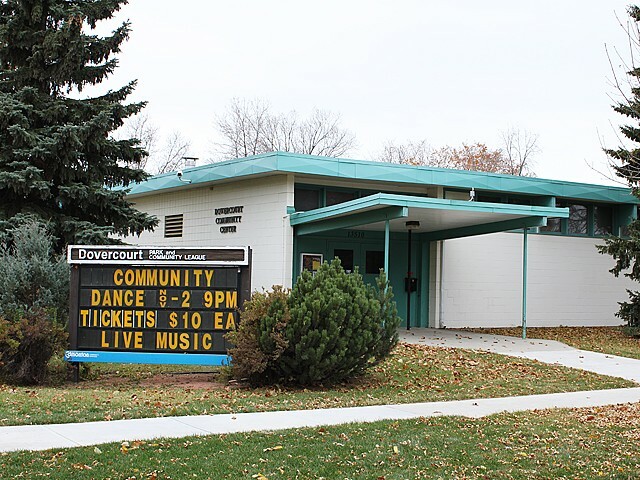 Schooling within Dovercourt is currently limited to the Dovercourt Elementary School and the K-12 Coralwood Adventist Academy. Dovercourt also has a couple of strip malls with food, gas, and other services available. It’s also only about a 15-minute drive from the neighbourhood to the Edmonton city centre. For number 4, we’ll head to the neighbourhood just east of Sherbrooke in Prince Charles. The area was named, conveniently enough, after Charles, Prince of Wales. Prior to its naming, however, the nieghbourhood had already been subdivided by 1905. Almost 13% of the 700 housing units in the neighbourhood were built before World War II while the great majority (70%) was built between 1946 and 1960. The remaining homes were built between 1960 and 1980. Many of the homes are bungalows with steep roofs, and they’re occupied by a mix of professionals and working class individuals. Again, Prince Charles shares boundaries with Sherbrooke with Yellowhead Trail to the north, 118 Ave. to the south, and 127 St. to the west. Its eastern border runs along 121 St.
No surprise here: Prince Charles home prices are also fairly cheap. The average sale price of homes in the neighbourhood over the last year has stayed consistent at around $290,000. You can also find one of the few row houses in the neighbourhood for similar prices. While the homes in Prince Charles might be older than in other neighbourhoods, they still offer a lot to new home buyers. Most of the lots are large which is attracting builders to the area as well. It may not be too long before Prince Charles has one of the most modern collections of homes in Edmonton. This is also a great area to add secondary apartments or suites. Prince Charles shares a lot of features and amenities with Sherbrooke and Dovercourt to the west. It’s closer to Kingsway Avenue which also means it’s closer to Kingsway Mall, Royal Alexandra Hospital, NAIT, and the downtown core. McQueen is situated to the north of Grovenor (number 1 on our list). Interestingly enough, the area was named for a long-tenured minister at the downtown First Presbyterian Church. While Reverend David George McQueen may have served in that post from 1887 to 1930, residential construction didn’t begin in earnest until after the end of World War II. Sixty percent of all homes in the area were built between 1946 and 1960. Construction continued into the 1970s before eventually halting altogether by the early 80s. In the late 1990s and early 2000s, the area saw an uptick in housing construction. Its boundaries are 142 St. in the east, 149 St. in the west, 107 Ave. in the south, and 111 Ave. in the north. The average price for a home in McQueen may be a little higher than the other locations on this list, but that doesn’t mean it’s not worth it. Median home prices in the neighbourhood are usually around $400,000. Big lots, alleyway access, and newer homes account for the increase in home price. McQueen is quiet and unassuming but it’s another one of those areas with big lots and the potential for laneway homes. It’s also got some of the best schools in the city, including the Archbishop MacDonald High School which is accredited by the International Baccalaureate Organization. Other schools include: Edmonton Christian West School, Edmonton Christian High School, Edmonton Menorah Academy. Whether you’re looking to break into the housing market or just trying to find a nice place to relocate, you can’t do much better than these five neighbourhoods in Edmonton. They have the right combination of price, size, location, and amenities that you just won’t find elsewhere throughout the city. Contact us today if you’re ready to get started on the home buying process. Whether you’re looking for a mortgage pre-approval or just want to learn more, we can help you find a new home in one of these fantastic neighbourhoods or elsewhere throughout Edmonton!